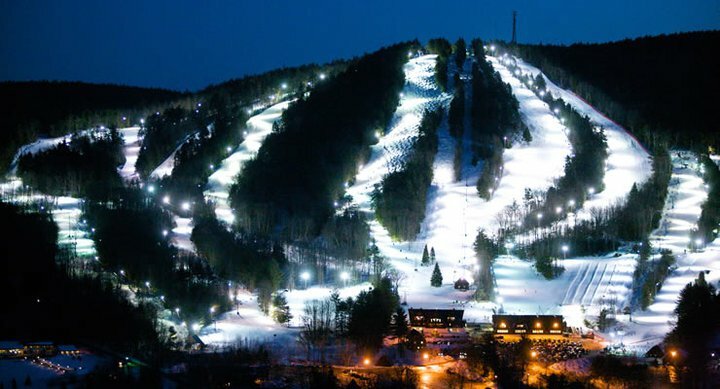 Henniker, NH – New Hampshire’s Pats Peak ski area will resume its popular bus service from the Boston area to the slopes on Saturdays beginning this week. In addition to several scheduled pickup points, the bus will also pick up passengers at any metro Boston location with 15-person minimum and reservations 48 hours in advance. The bus fare and “Pay-One-Price” ticket combined costs $75 per person. Trips include round-trip transportation, night skiing 3-10 p.m., snow tubing 5-10 p.m., lesson tips 4-6 p.m., rental equipment and entertainment. Advance reservations must be made by calling Boston Common Coach at (877) 723-3833 or (617) 773-2784. South Shore Mall, Braintree (Uno Pizzeria & Grill): 11:30 a.m.
Commonwealth Ave./Warren Towers: 12:10 p.m.
Ruggles T Station Roundabout: 12:30 p.m.